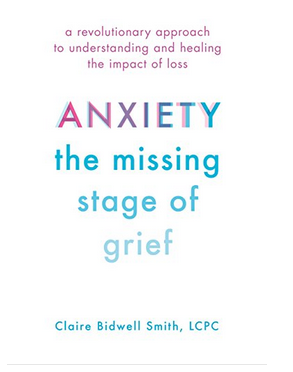 Acclaimed writer Claire Bidwell Smith talks about ANXIETY: THE MISSING STAGE OF GRIEF, how to lessen and live with our losses and how anxiety is connected deeply to grieving. 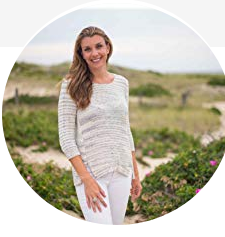 Claire Bidwell Smith is a therapist specializing in grief and the author of three books of nonfiction: The Rules of Inheritance, After This: When Life is Over Where Do We Go? 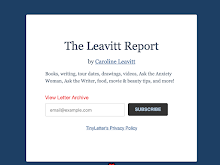 Her latest is Anxiety: The Missing Stages of Grief, and being no stranger to grief myself, I read the book underlining pages. What seemed to remarkable to me is the way Claire gives practical advice that can soften the pain, readjust it, and let you move on. I cannot thank you enough, Claire for this magnificent book. I always, always want to know why this book now? What made you feel you had to write this? This book has been calling to me for a while. About five years ago I wrote an article for Slate.com based around this idea that anxiety is missing from the five stages of grief and the response to that article was overwhelming. I got so many emails and I also found my office flooded with clients who were experiencing this grief-related anxiety and seeing help with it. The more clients I saw, the more I understood the affliction and how to treat it. What’s remarkable about the whole thing to me is that this symptom isn’t more widely talked about and because of that, I felt a certain sense of duty to provide more information on this important topic. What I loved so much about this book was how you connect anxiety with loss. That makes total sense to me, since I think the root of anxiety is worrying about what WILL be lost. Can you talk about that please? There is simply no question that loss causes anxiety. Loss is nothing but a reminder that life is precarious and that we are not in control. This realization coupled with the intense emotions of grief are the perfect recipe for anxiety. It also doesn’t help that we live in a “grief-illiterate nation,” as Maria Shriver says. We often feel very alone and unsupported going through the grief process and do not know where to turn. Not having the proper support can also lead to a greater sense of anxiety. The tools you give readers is totally invaluable. Do you think they can be used for other issues as well? Yes, I think some of these are life tools. We all need to do a better job being present to our lives, to our time here, to our relationships with each other and what it is we we want to leave behind when we eventually depart. Doing these things and living a more consciously will help all of us to experience more meaningful lives…and deaths. Ha…yes! I was very conscious of the anxious state my readers would have be coming to this book in. I wanted to make the information as comforting and easy to digest as possible. Every day I work with clients who are anxious so I’m very familiar with the ways in which an anxious person processes information. Above all I just want this book to be helpful to those who are experiencing anxiety or in relationship with someone who is. I’m kind of obsessed with end-of-life care. I think that’s the next frontier in death and dying and the grief world. How we grieve is directly affected by how we die and until we see some strident changes in end of life care and how we can better embrace death, then grief will continue to be a struggle. The one thing I want to touch on is the positive in all this. 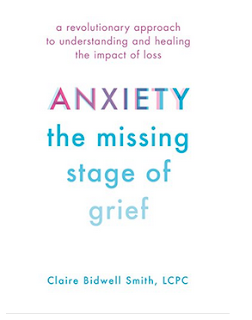 First the good news that grief-related anxiety is easily treatable. But bigger than that, the reminder that death doesn’t have to be this big, scary thing all the time. Death is a reflection of love, it’s our greatest teacher in how to live. Grief is an incredible opportunity for transformation – let it break you open and reveal deeper truths about yourself and your time here. 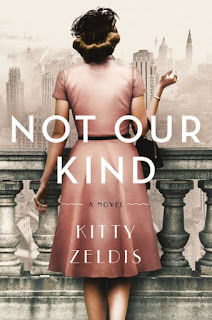 Kitty Zeldis talks about why she took a new name to publish a new book, NOT OUR KIND, about anti-semitism, 1940s New York City, female friendship, and more. I've known Kitty for years, deeply admiring her work--and her sense of style--(part of why I look forward to seeing her is to swoon over what she has on!) 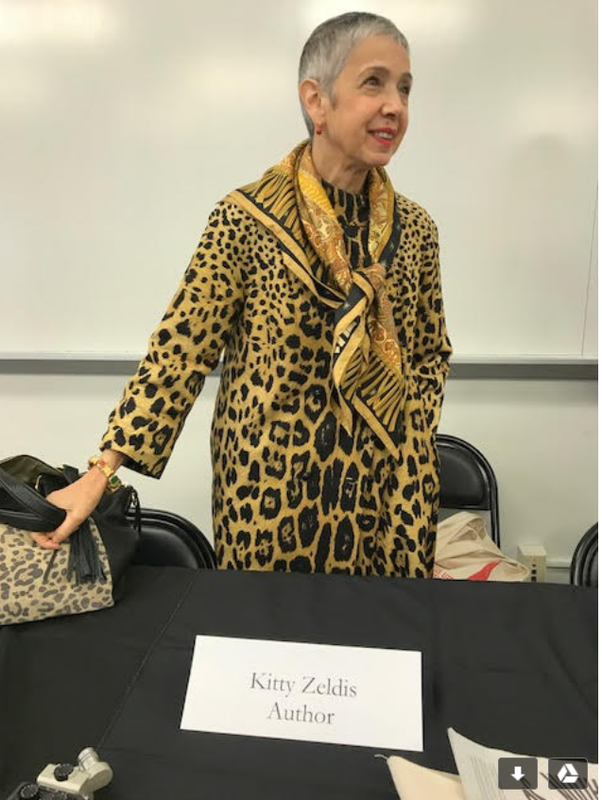 She's the author of the many highly praised novels and books for kids, but Kitty isn't her real name. And in this essay, she's about to tell us all why. But first, here are some the raves she's racking up for her latest book, NOT OUR KIND, about class, culture, anti-semitism in 1940s New York City. I’ve always hated my name. I can’t tell you what it is, but I can tell you that when I started at a new school in fourth grade, the teacher looked at the supremely unfelicitous collection of syllables on the class list and asked what—not who—it was—that’s how weird it sounded. I had to raise my hand and say, “That’s me.” I had a chance to change it college—I had decided to use my middle name, which was less egregiously ugly—but though I filled out my forms with that other name, I didn’t have the resolve to follow through. Clunky and unlovely as it was, it seemed I was stuck. Friends tactfully tried to change my view. They said it was distinctive. Memorable, I was told. Yeah, right. So was a two-headed cow. Even now, whenever I tell a new person my name, I cringe afresh. Then a funny thing happened. I’m a writer, and I began to publish under that unwieldy name. I can’t say I liked it any better when it appeared on the covers of my books, and yet…it was mine. It was distinctive, and yeah, memorable. I guess I had made a grudging peace with it—even if I still cringed a bit when I had tell introduce myself. But then after seven novels, the last four with the same publisher, I had a big internal house cleaning. New novel, new agent, new publisher and new start—with a new name too. My sales figures, less than robust, needed some goosing up, and this, according to the publisher, was the way to do it. They were polite but firm—Not Our Kind was coming out under a nom de plume. At first, I was kind of tickled by the idea. I’d get to shed my ugly name—finally! Assume a cute, perky alternative, a name I wished had been mine from the start. And because I chose Kitty, which was in fact a college nickname, I felt I recognized the name on the cover—she wasn’t a stranger. I was totally on board with this decision. Or was I? After several months have elapsed, a bit of ambivalence has crept in. And what’s that bittersweet feeling—regret? That old name I’d always hated was on the seven novels I’d written, novels I most emphatically did not hate. That was also the name I’d used on the twenty-eight children’s books I’d written, some of them the recipients of awards and those coveted starred reviews in the industry publications. One of them has sold close to 600,000 copies, a number that makes me proud. And yet, because I am exiled from the name on those books, I’m exiled from those accomplishments too. Not Our Kind was published on September 4. HarperCollins is really enthusiastic about this book, and is putting some muscle behind it. Thanks to their stellar PR department, I’m scheduled to visit a slew of cities and will be meeting and greeting new readers with my brand new name. I can’t yet tell how it’s going to feel, and whether I’ll fully embrace the change or, with surprise, mourn it, even if just a little. I always always ask every writer—because I believe this is true—what was haunting you into writing this particular book? What was the question that you wanted answered? And did the answer surprise you? I think the main question I had when writing the story was what’s the distant aftermath for a family when a child goes missing? I wanted to follow a person still walking a road long after they’ve lost their bearings. What does that family look like? What happens to a person’s mind when hope is made vestigial, but they can’t escape its grasp? I think the answer was a bit surprising to me. I knew the path that the main character Ben would walk, or at least I knew the way points. The scenery, though – the things he passes through and is transformed by along the way – that snuck up on me a bit. The book totally unnerved me, and I mean that in the best way. Was there ever a moment when you felt disturbed yourself? When you forgot you were the writer and felt you were an inhabitant of this town? The truth is this town is a real place and so is the store. You can find it if you know where to look. I won’t say that I ever wrote something that got under my own skin, but I know these places and these people, so there were definitely some times when it felt a little too real to me. I think what makes Bad Man so terrifying is the casual nature of the horrors, the way things that happen could have other explanations (the freezer that locks itself made me half crazy, but they don’t. All of this leads to the question, so what kind of writer are you? How did you write this? Was it mapped out? Or were you as surprised and terrified as the rest of us? I love all kinds of horror. I’ll watch or read just about anything. When it comes to writing, though, I tend to be most drawn to more terrestrial things. Human horror. There are a bunch of reasons for this, some practical, most just matters of taste, but I think I’m always more interested in the things that people do and why they do them. As far as how I approached Bad Man, most of it was mapped out in my head before I really dove in. I’m bad about using actual outlines, but I know the beats I want to hit and how I think I’m going to get there. Of course, there were some developments I hadn’t really considered at the outset that I stumbled upon as I went. Some characters wound up being way more integral than I had first conceived – the cop James Duchaine, to name one. Those kinds of surprises are both fun and stressful. It’s great to find something knew and think, “why didn’t I see that or think of that before?” But that can also be alarming, because then you start wondering what else you overlooked. You started out self-published on Reddit, and became an instant hit. That lead to a Go Fund me for Penpal, which also was a hit. I’m amazed at how you kept going—do you have this built-in belief system? Or was this a surprise to you? It’s been a genuine surprise the whole way. People’s reactions. My own determination. Penpal started as one story that I wrote just for fun. It was the responses from people on r/nosleep that pushed me to write more stories and eventually revise them into a novel. At a certain point, and I was aware of it as it was happening, it became work. Not a slog or a grind – just something that was difficult and trying. I was surprised that I kept going when it would have been easier to quit while I was ahead. But I wanted to see it through, partly for myself, but mostly for the people who had been cheering me on. I felt like I owed it to them, since they helped me find and retain a kind of determination I didn’t expect I’d find in myself. I think I’m between obsessions right now. For a while I was trying to hunt down vinyl pressings for the band X Japan, but I’ve taken a break from that because it’s full of slim pickings and devastating “almost got ‘ims.” It’s only a matter of time before that starts back up, though . . . as evidenced by the fact that I just opened up a new tab and searched Discogs while I was in the middle of writing this reply. If I ever thought of writing Bad Man as a palindrome. The answer is obviously yes. Four former--and haunted--classmates. A small town simmering with racism, political strife and broken dreams. 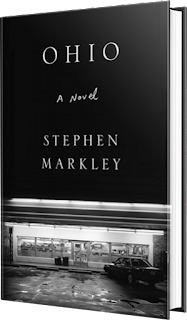 Stephen Markley talks about his gorgeous, gorgeous debut novel: OHIO. Stephen Markley's stunning debut Ohio centers on four former classmates and the simmering summer that brings them all together. And it's on the Best Books of Summer from * Vulture * Time * New York Post * The Millions *. He is also the author of Publish This Book and Tales of Iceland. 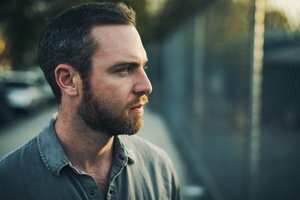 He is a graduate of the Iowa Writers Workshop and his essays and short fiction can be found scattered across the Internet. He currently lives in Los Angeles. I'm so thrilled to have him here. Thank you so much, Stephen! I’d been trying to write a version of this novel for maybe a decade. It’s not so much you choose the book, but eventually the book chooses you. It went through so many revisions, re-imaginings, re-interpretations. It’s always a process of discovery, which is why it’s so simultaneously fun and frustrating. Why did you set it in Ohio? I think it’s a brilliant choice, but I would love to hear your thoughts on it. I’m from a small town in Ohio not too dissimilar from New Canaan. There’s a lot about that place I still love, and a lot that about growing up there that has stayed with me. That place and the friends from there are never far from my heart or mind. The fact that an archetypal town based on my own suddenly smacks headlong into the zeitgeist was just a lucky/unlucky accident. I also loved the ambitious structure—the course of one night, flashbacks that read as front stories—everything coming together to unfold deeper, more powerful truths. How difficult was this to do? And was this always the structure you wanted to use? Yes, it was difficult, and getting the structure right took a long time. I think there’s something about the degree of difficulty with a project that attracts me. Novels and films that play with time, that leave you off-balance, that take you backwards and forwards and occasionally sideways, I almost feel like they have the potential—if you get it right—to draw you in more deeply than a straightforward linear narrative. Of course, it’s also easy to make a total mess of your story. I always also want to know what surprised you when you finished the novel—was their something you wanted to explore and then the answer was something different than what you expected? I guess I was somewhat taken aback by how intimate it felt, especially when I got the page proofs back and there’d been a bit of space between the last sentence I wrote and actually reading the thing as it would appear in book form. I was like, “Who would’ve thought that’s what this book would turn out to be?” But that’s what makes writing fiction such a gobsmackingly thrilling exercise: because even the author isn’t really in control of it, and what you have in your head is never quite what makes it to the page. Climate change mostly. It’s what we should all be obsessed about, but it remains maddeningly far from the forefront of just about any discussion anywhere. Now that you both live in Los Angeles do you think you and LeBron will become close friends? Answer: I’m not sure—he’s in Brentwood and I’m on the east side, so traffic could make it tough. But whenever he feels like hanging out, I’m available.